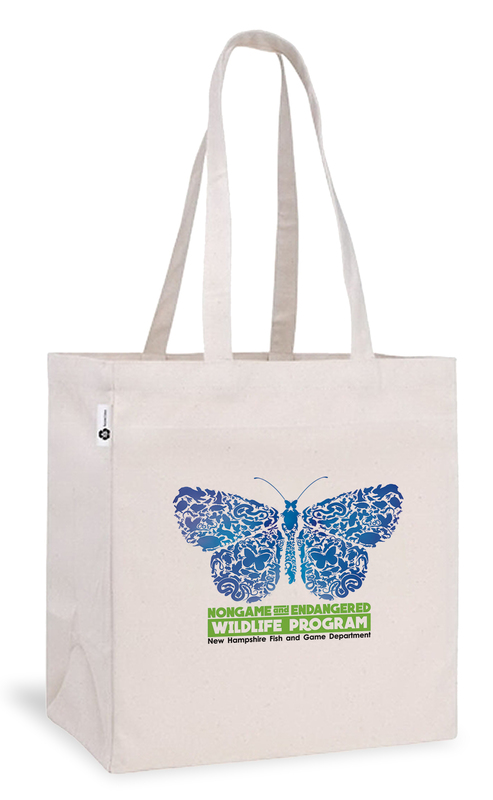 Canvas tote imprinted with a screen print of nongame wildlife. 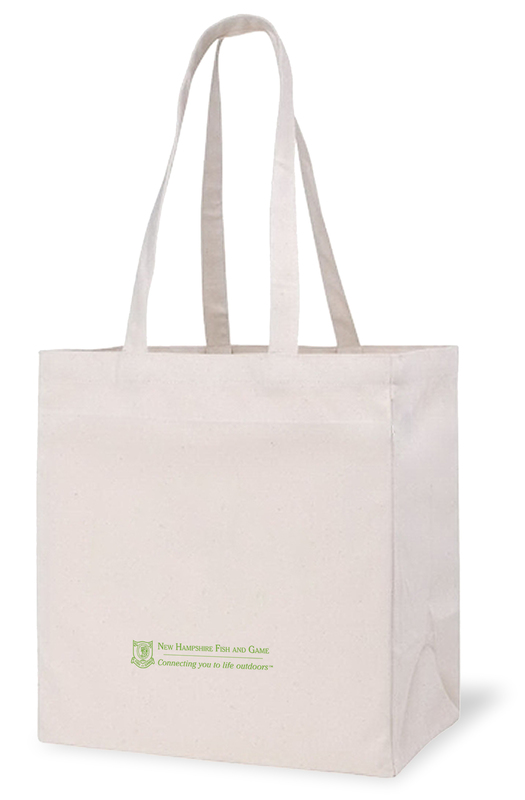 Sturdy, and large enough to carry your groceries, books, and more! 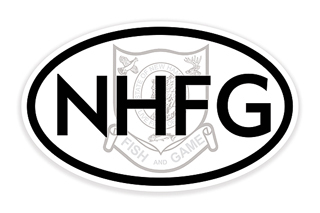 Show your New Hampshire Fish and Game pride with our limited edition oval decal sticker. 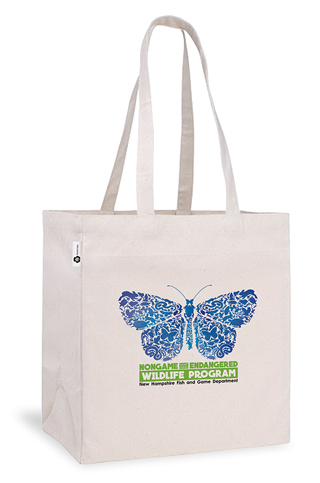 Perfect for your vehicles, fridge, water bottle, or laptop. Get yours while supplies last! 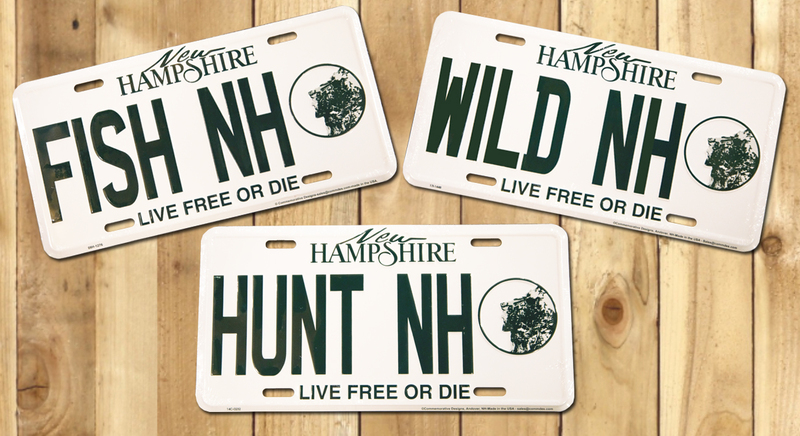 Show your New Hampshire pride with these NEW novelty license plates. 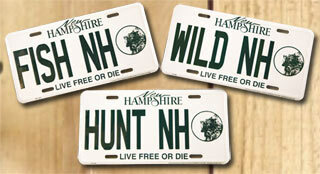 Choose from WILD NH, FISH NH and HUNT NH. 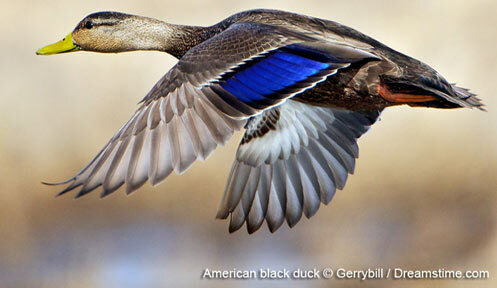 Perfect for camp, bob-house, tackle box, or just for fun. These plates resemble "the real thing" and feature the iconic Old Man of the Mountain logo. Plates are novelty only and not intended for official use.